Laramie High School choir students will be travelling to Cheyenne for a solo and ensemble event. Students choose if they want to do a solo or sing in groups up to sixteen. LHS Performing Arts teacher Donna Solverud does not require her students to do a solo or ensemble. The solo and ensemble event is for the Southeast District Region of Wyoming. All the schools in the area travel to Cheyenne to perform in front of judges, get critiqued and get a rating; one being the best, five being the worst. Typically, students do not see any fives; usually ones, twos, and threes. Judges work with the students when they are done performing, let them know how they did, help them with their technique, and give them a few ideas on how to improve. Judges tend to be Performing Arts teachers and are experts in the field. “It’s just a really good learning experience for kids being able to perform in front of an adjudicator and in front of an audience,” said Solverud. Solverud has about 40 different solo or ensembles going. For students that want to perform, Solverud will help them pick out their music and rehearse with them. Students started picking out their music in late January so that students have their pieces well known before the registration date. If their pieces are not prepared by that date, they will not be registered for the event. Students must also be eligible, meaning they cannot have two or more F’s, in order to participate. Buss performed a solo and an ensemble with her sister both her Freshman and Sophomore year. This year Buss hopes to give a more meaningful performance. “It is all about trying to improve the student’s performance,” Solverud said. The event is held at Cheyenne Central High School. The event is all day Monday April 15th and Tuesday April 16th. It lasts from eight in the morning to four in the evening. On one day, the solos and ensembles perform. On the opposite day, the choir has Large Group Festival.Large Group Festival is for Solverud’s large choirs. The choirs also perform in front of judges. 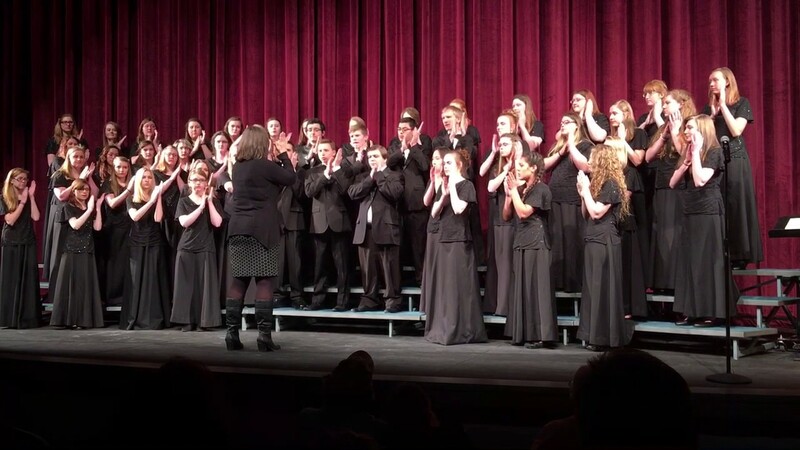 Solverud takes five of her choirs; Freshmen Choir, Concert Choir, Lady Plainsmen Voices, Plainsmen Singers, and Men’s Choir. She also has a Jazz Choir that perform at their own jazz festival. The solo and ensemble event is a Wyoming High School Activities Association (WHSAA) event. The purpose of WHSAA is to ensure that all school activities in Wyoming are safe and fair for all. For more information about WHSAA visit www.whsaa.org. Plainsmenrendezvous.org is an online newspaper which is written and produced by students of Laramie High School for everyone.